Spanish moss (Tillandsia usneoides) is not a moss at all, but rather an epiphytic flowering plant in the Bromeliad family. It is found growing upon larger trees in tropical and subtropical climates. A native to the southern United States, it also occurs in Mexico, the Caribbean, and Central and South America. It has even become naturalized in Queensland Australia. In the US, it is most often seen on Live Oak Trees and Bald Cypress, though it can occur on a variety of trees including Pines. It produces small green flowers in spring and by fall those mature in to long slender brown fruits. The seeds are wind dispersed. Its name “usnseoides” means looks like Usnea, a pendulous Grey Lichen. panish moss absorbs water directly into the plant body by special scales. It does not derive any nutrition directly from the trees it grows on but it may absorb nutrients in the form minerals that the trees normally shed via their leaves. 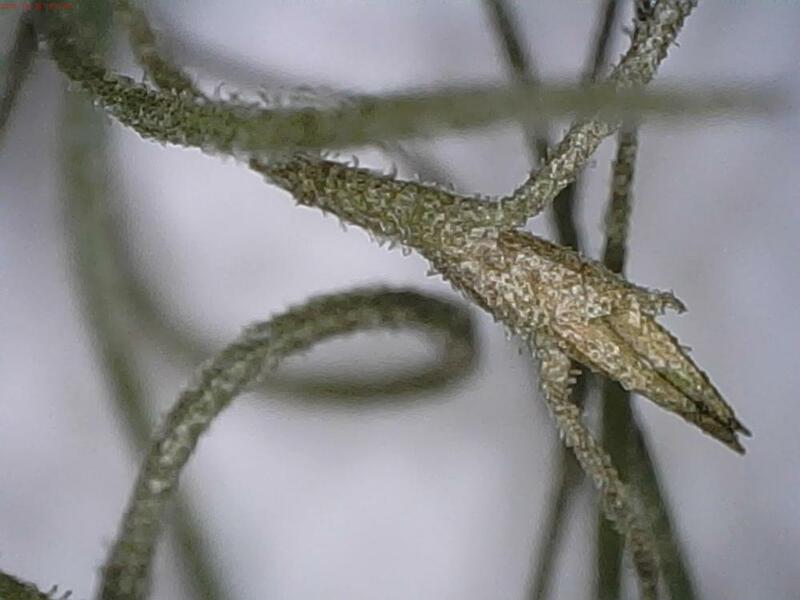 Chiggers, though widely thought to infest Spanish-moss, were not seen among thousands of other arthropods identified in one study. Spanish-moss has been used for a variety of purposes, including insulation, mulch, packing material, and mattress stuffing. In the early 1900s it was used commercially as the stuffing for car seats. Throughout Louisiana it was a popular ingredient in the traditional wall covering material called bousillage.